EnSilica and Micrium have partnered to successfully port Micrium's µC/OS-III(r) RTOS to EnSilica's family of eSi-RISC processor cores. Micrium's µC/OS-III is available on eSi-RISC with immediate effect. EnSilica and Micrium have partnered to successfully port Micrium's µC/OS-III RTOS to EnSilica's family of eSi-RISC processor cores. 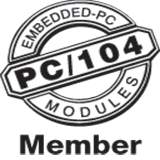 Micrium's µC/OS-III is available on eSi-RISC with immediate effect. EnSilica has launched the eSi-ECDSA cryptographic IP designed to help meet the high security communication and latency requirements of automotive Car2Car and Car2Infrastructure (Car2x) applications that form part of today's emerging Intelligent Transport Systems. EnSilica and Express Logic have collaborated to port Express Logic's popular ThreadX real-time operating system (RTOS) to EnSilica's eSi-RISC family of silicon-proven, highly configurable embedded processor cores. The combination of eSi-RISC and ThreadX is ideally suited to IoT applications.